I keep telling people that the best way to activate your servers and desktops is to have a Key Management Server (KMS) in your environment. However not everyone has volume license keys, and when an IT Pro (or Dev) builds a lot of lab environments using their TechNet, MSDN, or MAPS licenses that is not an option. 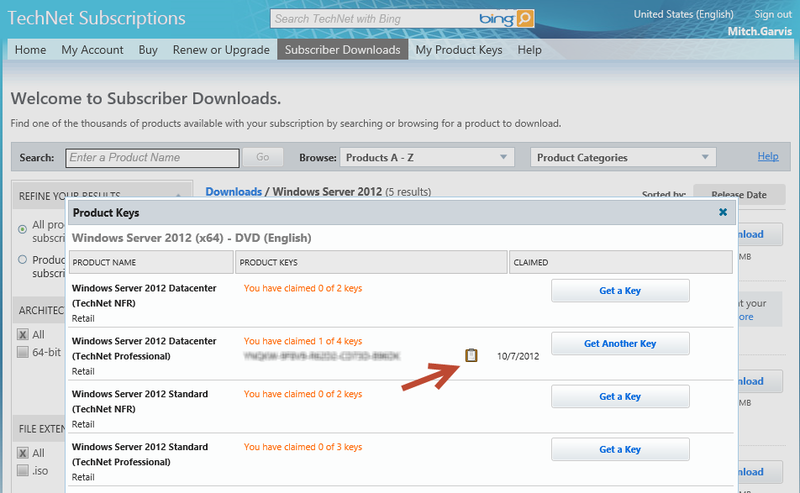 1) Navigate to the Subscriber Downloads page on your TechNet Plus, MSDN, or other site and find the operating system that you are looking for, then click Product Keys next to the desired product. 2) Once you have the key available (you may have to click Get a Key first) click on the clipboard icon next to that key. (you may have to allow Internet Explorer to access your clipboard). 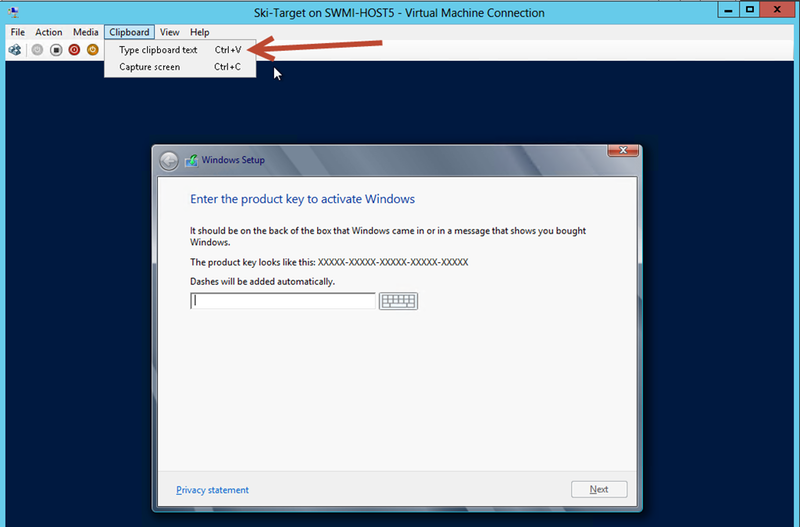 3) Now bring up the Hyper-V Virtual Machine Connection for your virtual machine and begin installing the OS. When you get to the screen where you would have to type in the product key, select the Clipboard option in the menu and click Type clipboard text. You should see the product key being typed into the appropriate location. I use this technique whenever I have lab environments to build, but it would work just as well for copying any text from your desktop (or server) into your Hyper-V virtual machine. 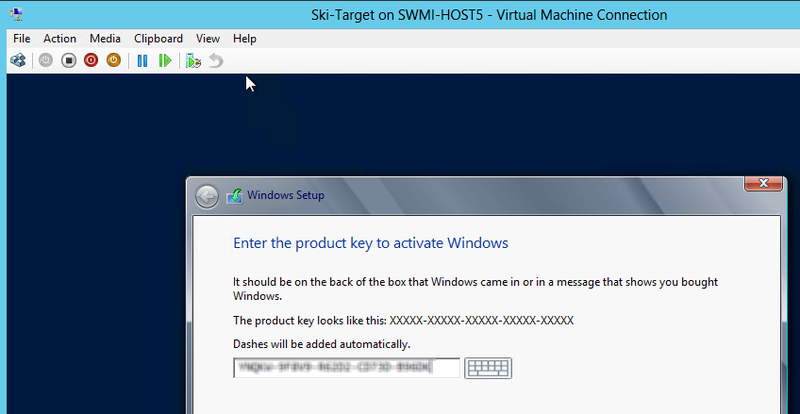 It is simple and effective… just like Hyper-V!